Just an aside I was meaning to mention. I discovered a wonderful site that specializes in one of my all time favorite things. Yes, office supplies. And, to make it even better (how, you ask, could it be ANY better?) --they are JAPANESE office supplies. They have brush pens (thin to thick, disposable to not), puffy pens, white ink pens, ink in lovely silver boxes. 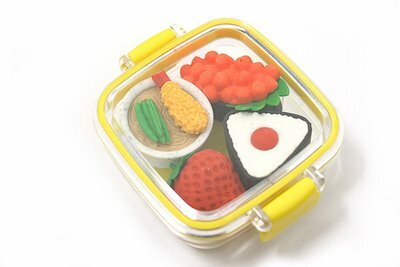 They have a wide selection of pencil cases and my all time "must own to give aways"--sushi erasers. So, though you aren't bored or even pretending to be bored, you may want to go to Jet Pens and check them out!